I love this outfit a lot! 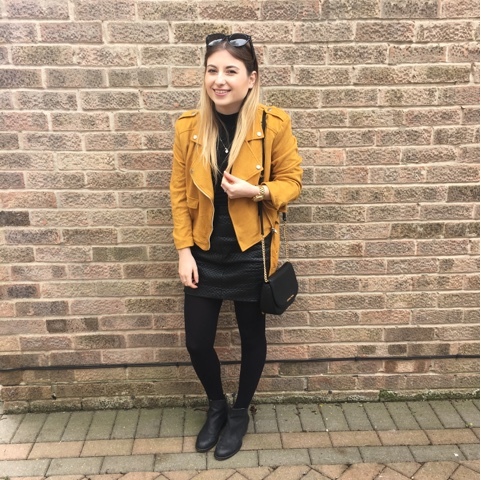 I do tend to wear a lot of black so it was really nice to add this faux suede mustard jacket from Missguided to give this outfit a bit more of a Spring appropriate vibe! I wore this outfit to the Mall Cribbs Causeway SS16 Fashion Show that I attended on the weekend with one of my good friend's and we had such a fun time looking at all the new and up coming trends for this Spring summer - such as stripes, lace and bold colours. 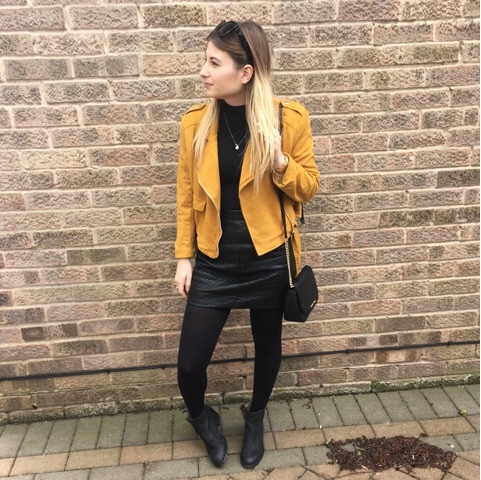 I'm really loving this transition into Spring fashion at the moment and I'm hoping to wear a lot more colour and a lot less black! 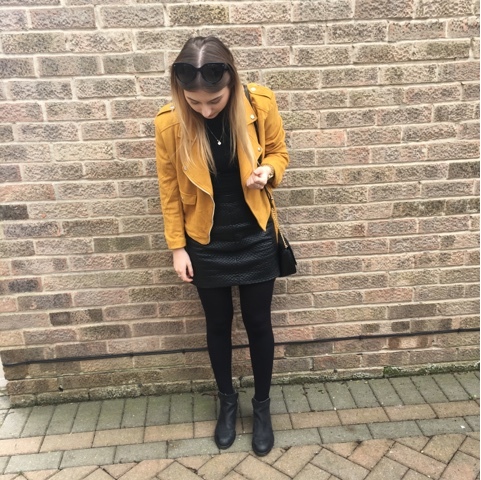 I paired the mustard jacket with a black roll neck (a very thin one though) that had three quarter length sleeves, a quilted short black skirt, black tights, black leather boots and also my beloved black Michael Kors bag. 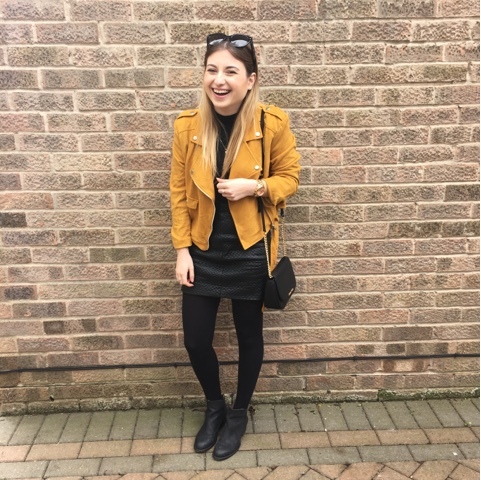 I quite enjoyed this little OOTD edition to my blog so I might try and do these a little more often as I do love fashion just as much as I love beauty! Let me know if you guy's would like to see more fashion type post's from me. Such a cute outfit, love the jacket! Your sister has good taste!